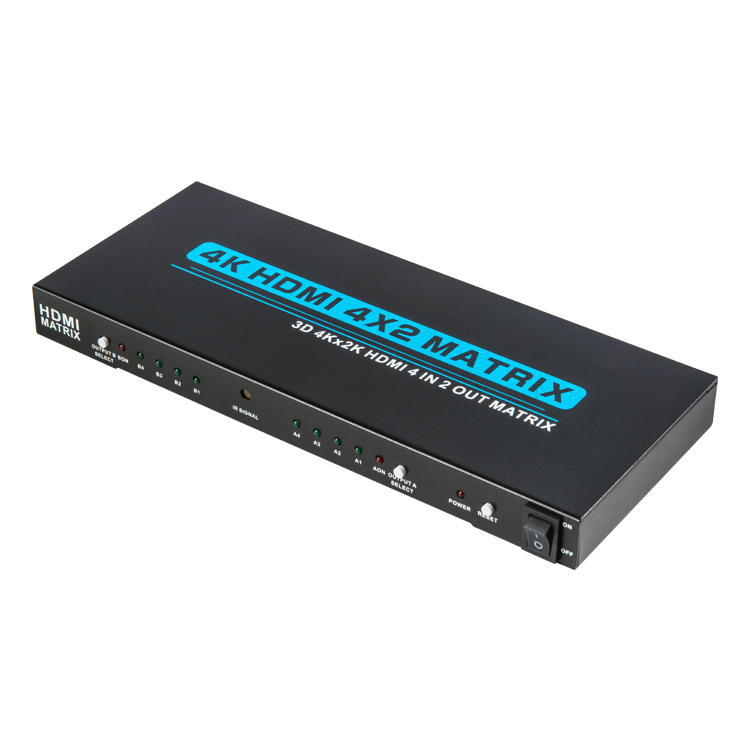 HDMI1.4 4x2 Matrix - Buy HDMI 4X2 MATRIX, HDMI MATRIX 4K Product on Shenzhen Zenhon Technology Co.,Ltd. 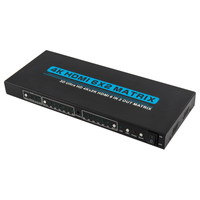 HDMI Matrix is a perfect matrix product with detached external audio output ports, which can connect 4 different HDMI signal sources and 2 displays. 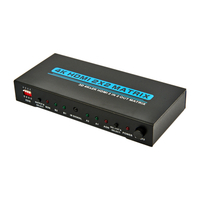 It can easily switch any 1 or 2 of 4 input signals to 2 displays by using remote control or pushing button. The output signals can be same or different. By using this product can avoid the need to disconnect and reconnect signal sources to displays frequently. It can smartly select input signal sources with priority order and jump over those input signal sources which are not in work. It can optimize your home theatre system to the best effect. 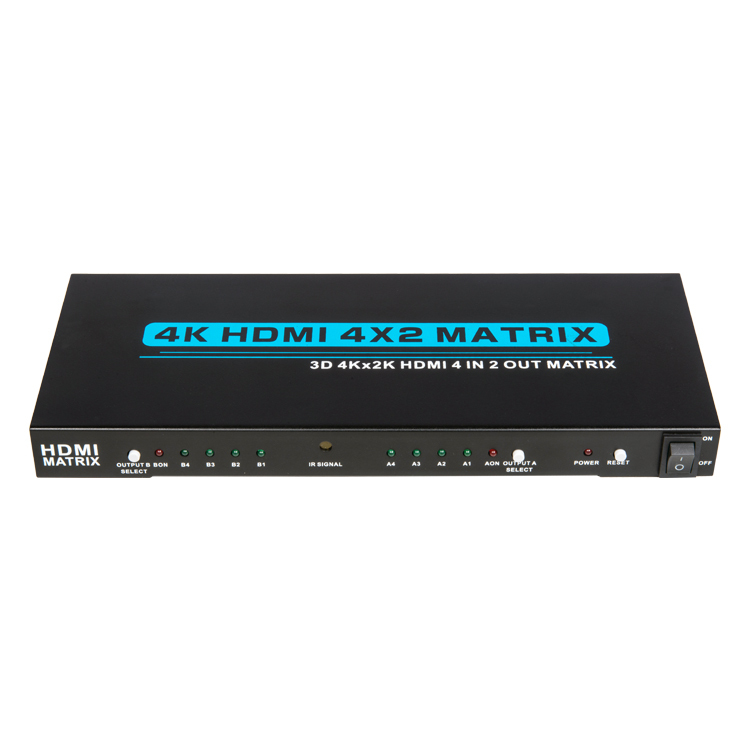 1.Smart switch When its 4 input ports are separately connected to 4 signal sources with HDMI cables, the HDMI Matrix automatically recognizes the last connected port and switches its input signal to 2 displays. 2.The needed input signal sources must be selected by using remote control or pushing button in order to make 2 displays showing 2 different signals. 3. 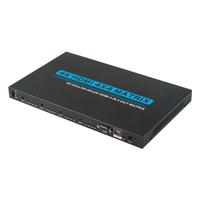 Work with all HDCP-enabled sources devices and display devices with HDMI Port. 4. 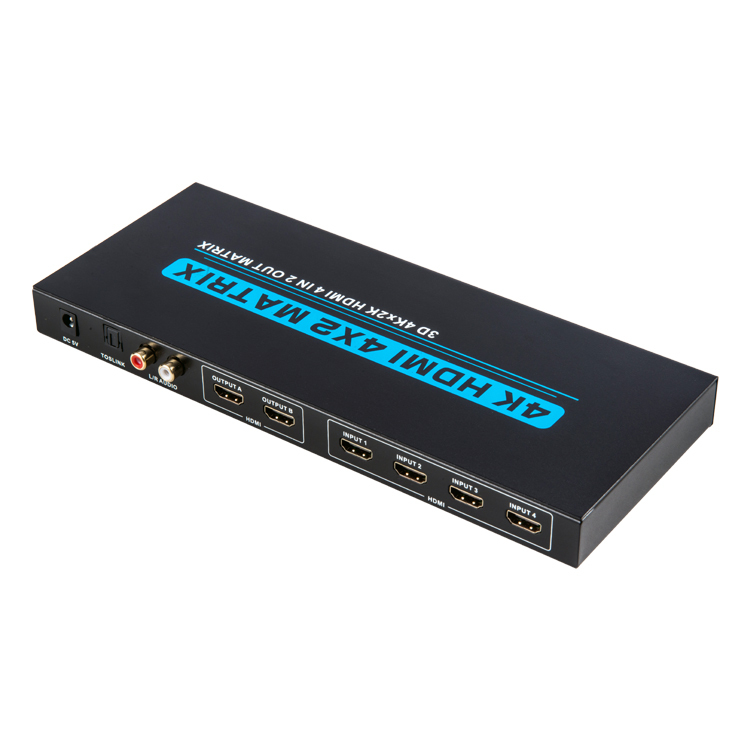 Support high resolutions up to 1920*1200, including 480i/p, 576i/p,720i/p, 1080i and 1080p,3840x2160@25/30Hz. 5. 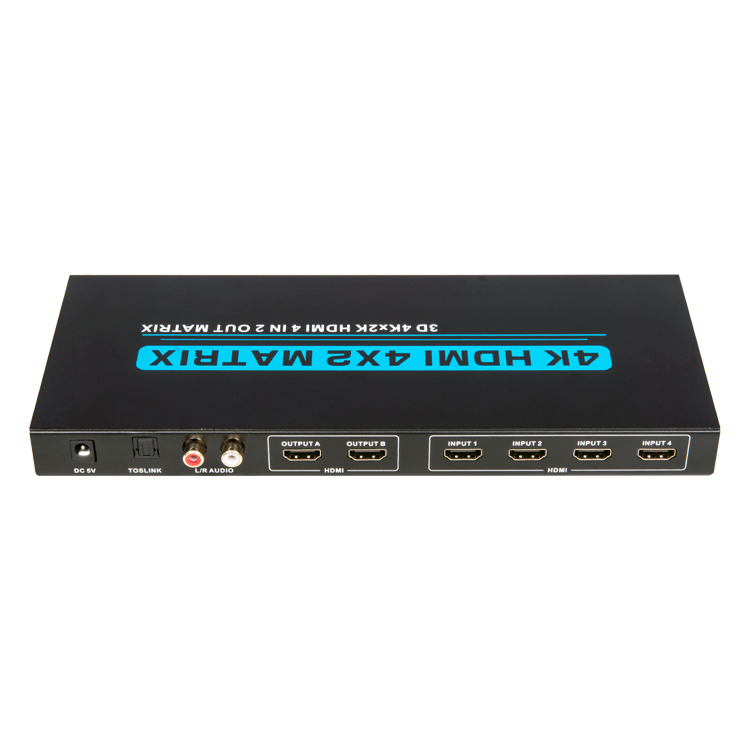 Switch easily between any 4 HDMI sources. 6. The 2 displays can get the same or different signals without mutual interaction. 7. Connected easily to dual-channel audio receiver device. 10. Support DVI device with DVI to HDMI adapter. 11. Plug-and-play and no need of setting. 12. Metal casing design and overall shielding without signal interference. 13. Use remote control or push button to freely select input source. 14. LED indicates signal /power mode. Explanation: With different brands of the input or output device, the length of the connecting cables will differ too. As for specific circumstances, please be subject to the actual product. 1.Please slowly plug or unplug signal cables and do not often plug , unplug , or shake them. 2.The equipment should not be placed under the sun , rain and damp or unventilated environment. 3.Liquid items should not be placed on the equipment. 4.Do not install the equipment near heat sources such as fire , power , or other amplifiers that produce heat. 5.Do not insert the metal or other objects to the equipment in addition to connecting cables to ports. 6.Do not demolish the equipment by yourself ; it should be maintained by professional maintenance staff. Warning! Electronic products can't be discarded at will, it must be recycled through special ways.